Do you need a recipe to make a smoothie? Probably not. Am I going to give you one anyway? You betcha! Most of my smoothies are the result of needing to use up some fruits, veggies, yogurt, tofu...you get my drift...that might otherwise go bad. No real measuring, just piling everything into the blender and adjusting until I have a good consistency. My guess is that a lot of people probably do the same. Every once in a while, I come across a perfect combination, and promptly scold myself for not measuring what I put in. What I'm trying to say is that it amazes me when people create brilliant smoothie recipes. On purpose. I found a smoothie, the color of warm sunshine (reminiscent of a sunrise or a sunset) quite by chance while browsing through annaDishes. Four simple ingredients. No added sugar. All the sweetness comes from fruit ripened under the warm sunshine. Since it was morning, I knew I needed to make it right then. I had everything I needed except mango. Now, I love mango (probably too much), but since I didn't have it, I subbed something I did have—pineapple. It's a pretty even substitute since fresh, juicy pineapple and fresh, juicy mango are equal addictions in my book. 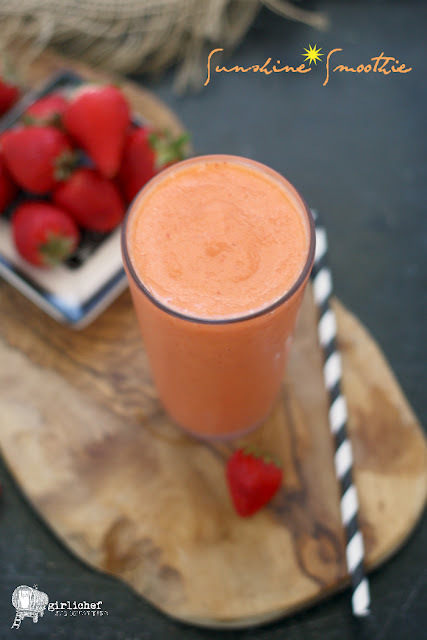 This smoothie is simpy 6 ounces of coconut water, one cup of fresh pineapple chunks, one cup of juicy red strawberry halves, and a surprise—carrots! 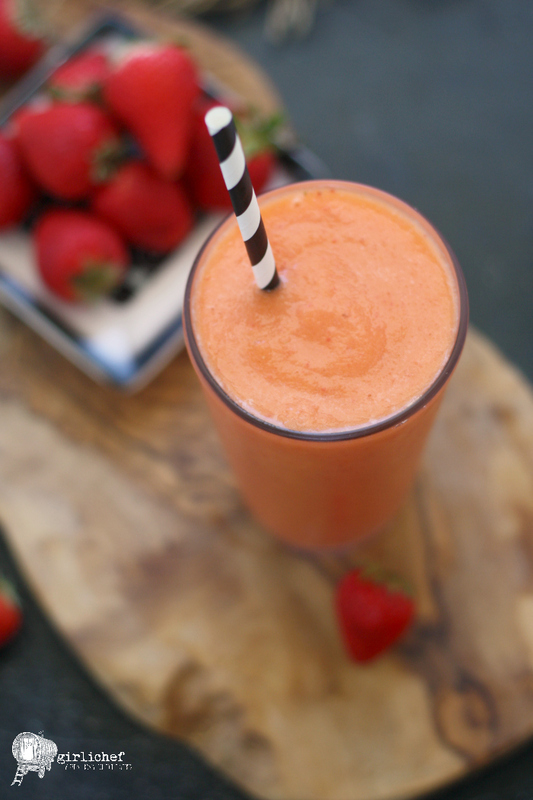 Totally a smoothie worth writing down and replicating. Next time I buy mango, I may just use both pineapple and mango. Mind. Blown. 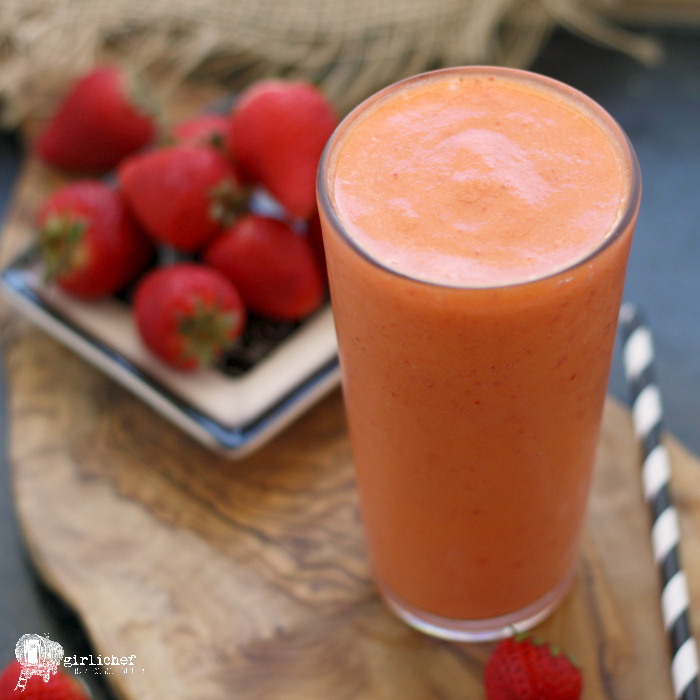 Coconut water plus fresh strawberries, pineapple, and carrot combine to form this smoothie. Start your day with a little liquid sunshine! 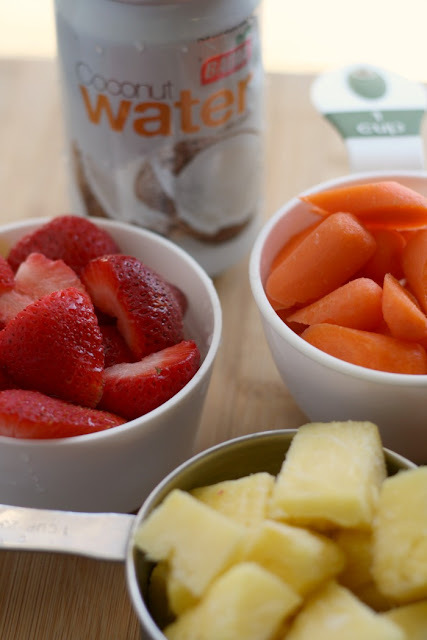 Place everything in the jar of a blender and puree until smooth. Enjoy immediately!